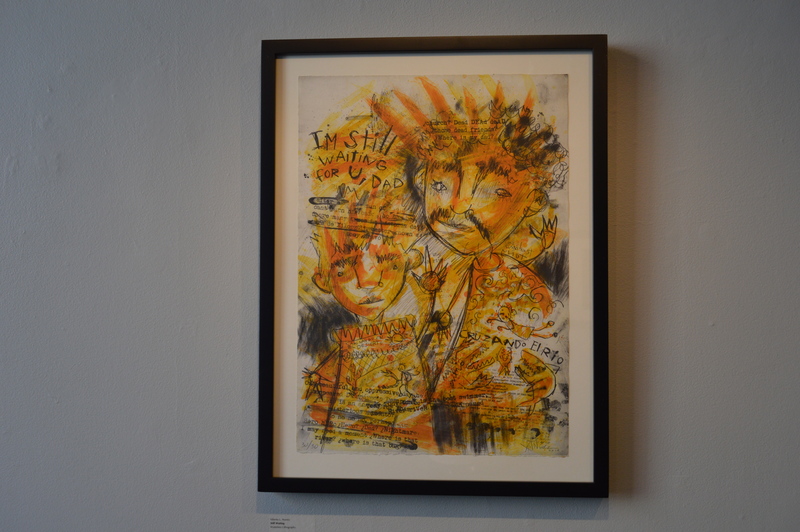 The latest exhibit in Tipton Gallery in downtown Johnson City, “Neither Here, Nor There,” creates a new perspective on Latino/Mexican-American art. Translating to “Neither Here, Nor There,” this exhibit primarily bases itself on Mexican emblems and messages. 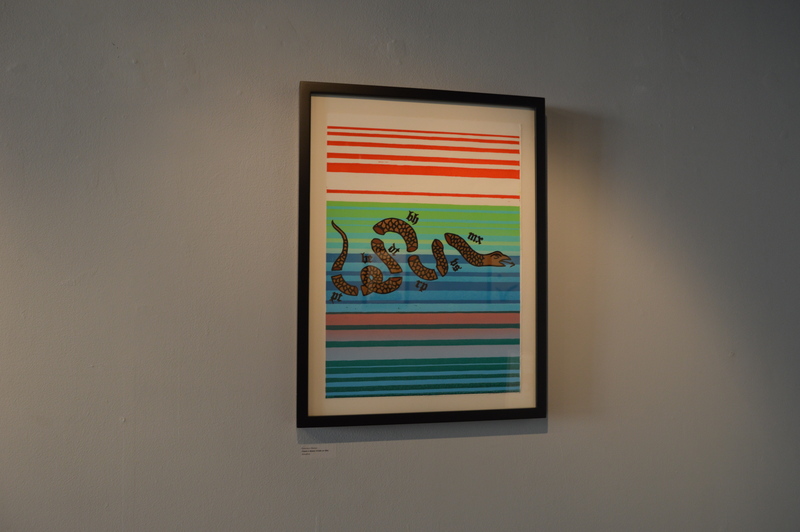 Karlota Contreras-Koterbay, the director of Slocumb and Tipton Galleries, said this particular piece speaks to her about the separation of families commonly found among Mexican-American families. For Contreras-Koterbay, it represents the separation of parents from their children when they are deported. 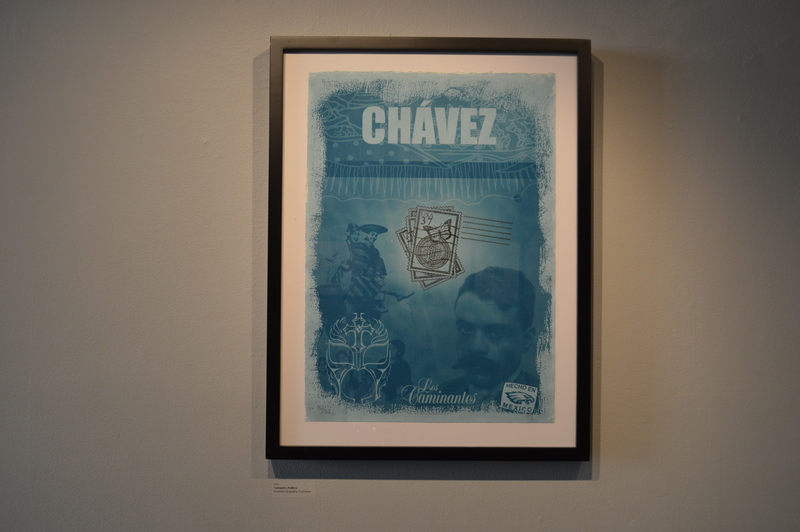 Through the usage of several different art forms, from realistic prints to more abstract images, “Ni De Aqui, Ni De All” bases itself not only on Mexican culture, but it also ties in American emblems to signify the close ties American culture has with Mexico and the Latino community. “Ni De Aqui, Ni De Alla” will be showcased in Tipton Gallery until April 28. All of the artists include: Alan Altamirano, Julia Caporal, Chema Chino, Juan De Dios Mora, Fernando De Leon, Janet Diaz, Sebastian Gallegos, Armando Gomez, Gabriela Gonzalez, Abraham Gonzalez Pacheco, Rogelio Gutierrez, ISTO, Coral Revueltas, Humberto Saenz, Alejandro Villalbazo, Miguel Ledezma, Rosalie Lopez, Emmanuel Lopez, Gabriela Martinez, Xilberto L. Nunez and Carmen Razo.